I’m always on the hunt for references of Italy popping up in NYC. It’s not just to feed my obsession & love for Italy, but it’s also my desired mission to bring cultures together to show how we are all connected in some way, and that our similarities can outshine our differences. As you can imagine, I was just giddy when I heard about the arrival of ‘Up Close: Michelangelo’s Sistine Chapel' at the Oculus at Westfield World Trade Center. 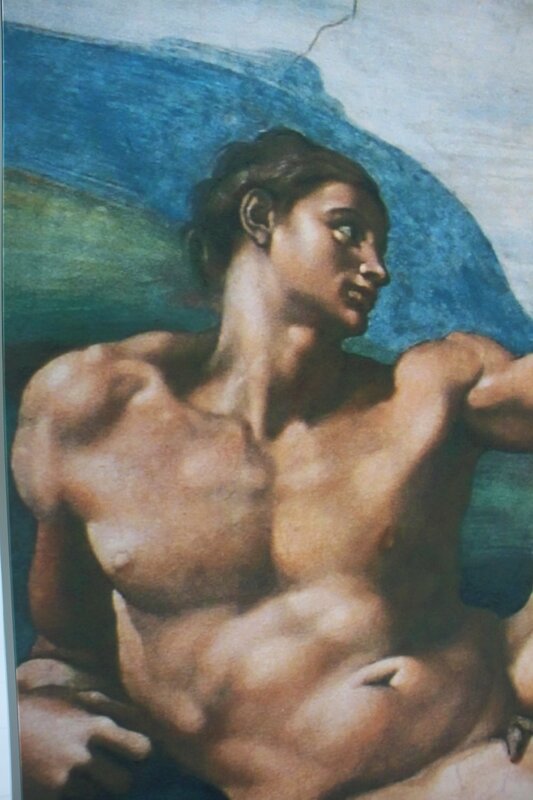 I’ve been fortunate to have visited the Sistine Chapel in Rome and have always been in awe as I craned my neck to look way up there to bear witness to M's genius. Being given the chance to get up close and personal with these near-original sized photographs of the frescoes was a real treat. The photographs were taken by Austrian photographer Erich Lessing, who printed them through a unique process on cloth. 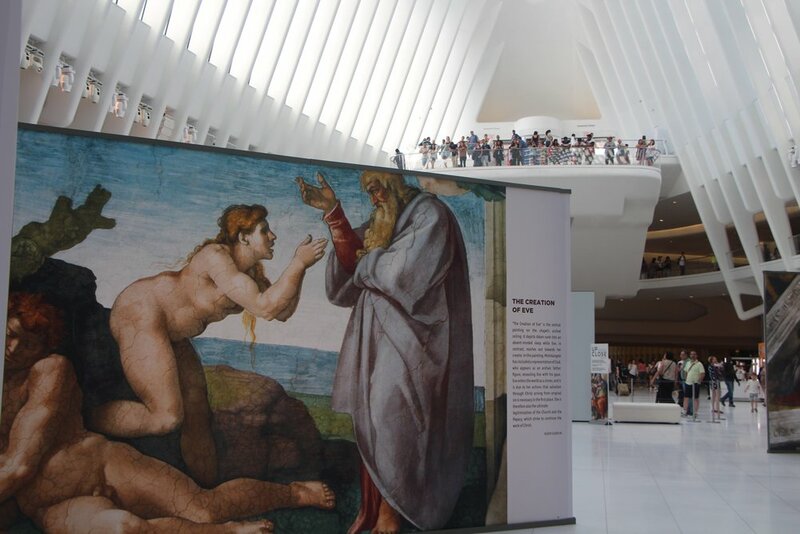 I marveled at the juxtaposition of these Renaissance frescoes now being shared in a modern setting at The Oculus, which is a work of art in itself. Following the images from ground level up to the ceiling of the Oculus gave it a new dimension that truly inspired me. With a desire to inspire you, I'm sharing some of my images and a short video. The exhibition runs until July 23rd. You can get tickets here. I invite you to visit my Shop where you'll find my collection of Photo Notecards and Frame-able Prints. I'm always adding something new so check-in periodically. As always, I'd love to hear from you on this or any of my previous blogs. If you feel inspired, please write me in the Comments section, and I'd really love it if you'd share the blog & my Shop with friends & family. Grazie!